In the fibro community, one thing that’s easy to pick up on is frustration. Many people battling fibromyalgia are angry and upset. Much of this is directed at their doctors. It is true that many medical professionals don’t seem “to get” fibromyalgia. They tend to fall into one of two camps. One camp is that “it’s all in your head.” They don’t offer much help. They doubt their patients. They treat them as potential drug addicts. They refer them to psychiatrists, instead of trying to relieve their physical suffering. Or, they may try to “help” their patients by pumping them full of drugs. They believe the pain is real. But they still don’t offer any solutions, other than drugs. Unfortunately, drugs come with baggage. This includes potentially dangerous side effects. But, even if relatively benign, these side effects can make you feel much worse. The fact that fibromyalgia patients can’t go to the doctor, and expect real help, is a sad commentary on our medical system. Unfortunately, in the United States, that’s largely because we have a healthcare model based on drugs. Doctors learned in medical schools largely subsidized by the pharmaceutical industry. Studies published in medical journals are backed by the pharmaceutical giants. Much of the focus of modern medical research involves bringing new drugs to market. It’s often said that medical school teachers doctors very little about nutrition. From my experience, this seems to be true. Few doctors (from what I see) encourage their patients to eat real food. They don’t talk about the harmful effects of soda, and what it can do to your liver. They don’t tell their patients to stop eating junk food. In America, the mainstream medical profession has yet to sound the alarm about GMO’s. Much of the processed food in the United States contains genetically modified ingredients. However, in Europe, labeling laws pretty much keep GMO’s out of the stores. Consumers are reluctant to buy them. So grocers don’t stock them. So, if you love your aspartame-based artificial sweetener, I highly encourage you to switch to a more natural sugar substitute, such as liquid stevia, which comes from a plant. Most regular doctors also seem woefully under informed about the potential role of environmental toxins. They don’t warn their patients to avoid sodium fluoride, found in tap water, toothpaste and medications. But, guess what? Fluoride can cause the exact same symptoms we call “fibromyalgia” as well. One of the easiest ways to reduce your fluoride load is to switch to a non-fluoridated toothpaste. The brand you’ll find in our house is Nature’s Gate peppermint toothpaste. It tastes every bit as good as the fluoridated brands you find at the drugstore. It also doesn’t contain questionable artificial sweeteners, which may be present in off-the shelf brands. Everyday, or so it seems, I see frustration directed at doctors. A lot of this is valid. The doctor or staff might have treated them abysmally. However, some of this frustration seems to be due to “unrealistic” expectations. The reason I put that word in quotes is because going to the doctor, and expecting real help, shouldn’t be considered unrealistic. However, the current medical model is drug based. Drugs generally don’t lead to greater wellness. So it’s little wonder that frustration mounts. There’s also a school of thought that “fibromyalgia” is really adrenal fatigue. (This is what I believe as well.) My healing centered around helping my adrenals recover. This involved stress reduction, dietary supplements, and a good diet. 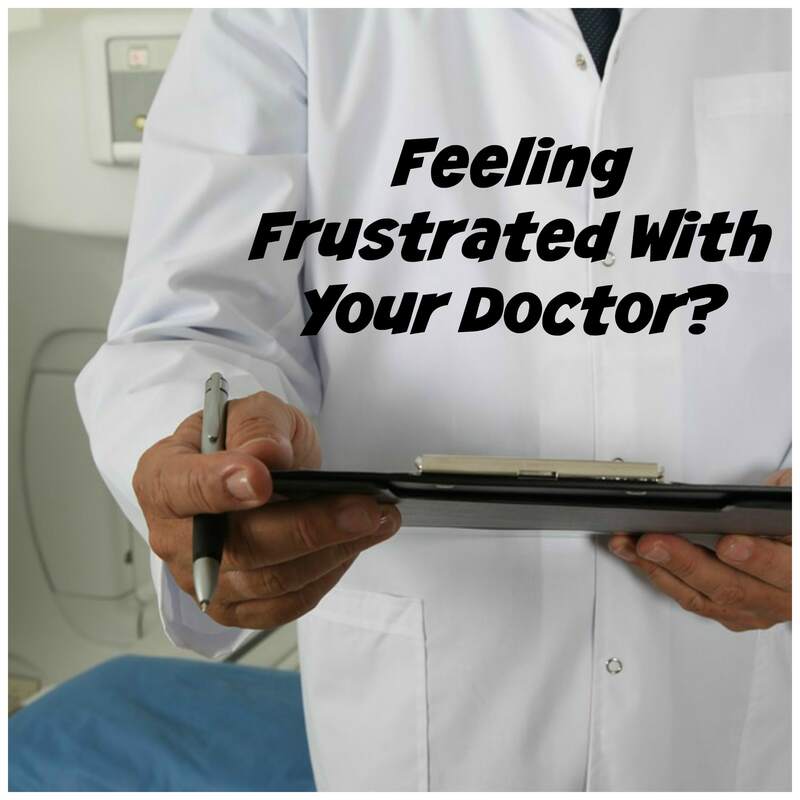 So it’s no wonder that fibromyalgia patients often feel frustrated. Our current medical system is not set up to really help them, aside from dispensing drugs. The only way I found real help was to visit holistic healers. This is what I had to do, because I was determined to get well again. Plus, I didn’t want to take drugs. I credit these wonderful professionals with putting me back together again. They are the real heroes. I wish I could tell everyone to just work with the best holistic healer they can find. However, this isn’t realistic. Good alternative medicine specialists are very hard to come by. Plus, insurance typically doesn’t cover the cost of office visits or treatments. It’s frustrating, isn’t it? ← Is There A Cure For Fibromyalgia Syndrome?